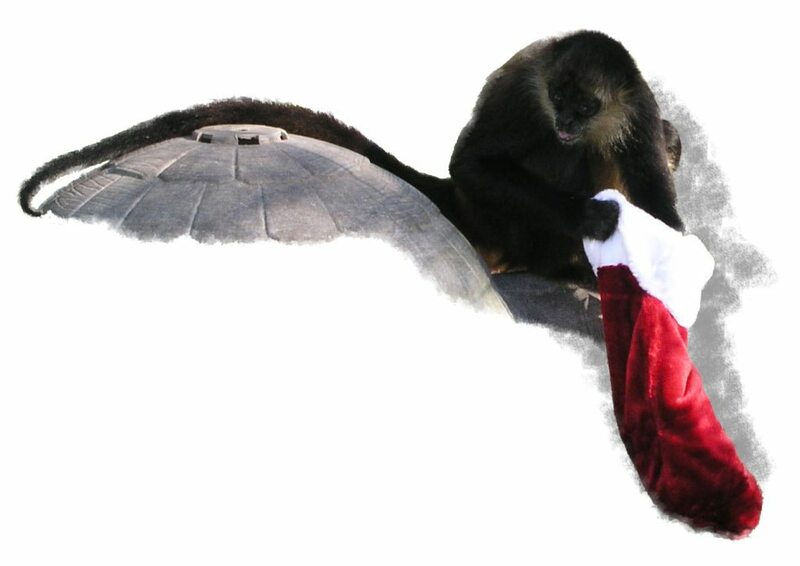 Christmas for the Animals is not a public event this year…..
Spider monkeys love to receive Christmas stockings too! In December each year we celebrate our “Christmas for the Animals”….this year we must break the tradition of having a public event and hold it privately. Please sign up for our e-newsletter and you will be among the first to know when we are ready to begin giving guided tours of our new facility. This entry was posted in Uncategorized and tagged christmas, event, sanctuary monkey, Spider monkey, stocking, xmas. Bookmark the permalink.